Parcel2Go have reduced prices for InPost parcels in £2.27 inc VAT for 1kg. Service uses UK Mail for the final delivery direct to recipients door, just needs dropping at a locker and is generally 1-2 days after collection, including full tracking and a time slot for the delivery if you track through the UK Mail site. Just has to be of the size to fit in a locker. Shame that they don't have many lockers, but if you are near one best deal around right now. Edit: Just a bit of further info: No Compensation included, but if your parcel is less than 8cm high you can book through inpostdirect.co.uk and get free compensation of £20. Does it include any compensation? Good priceDoes it include any compensation? At a price that should suit your pocket. Most other parcel firms are about £2.75.... and you don't need lockers. ...and your parcels are delivered to your home when you are away at work. I'd love to hide inside the large locker and give the driver a fright of his life when the door pops open.....Boo! Have it! However I just checked again and it looks like they do have £20 cover included so not too bad at all. I usually use myhermes - for £2.75 (not 2-3 times the price) which includes up to £25 cover but will consider inpost for lower valued items. Update: the compensation is only if you go direct to inpost - why use p2g at all??? Last time i used inpost it took 7 days for them to pick up from the locker central london not some out of the way place Used then again and they picked it up ok but broke the item and when i checked the exclusions it was one of them its was a garden clock ? so check the 1000000 of excluded items it's a right con. You can pay extra for compo but this is a rip off check out the prices. Parcel2go are terrible. Avoid them. Didn't these go bust ? I don't think your price includes the VAT, when that's added they are only pence cheaper than the excellent hermes. But it could offer a handier drop off point. They didn't for me. I don't think your price includes the VAT, when that's added they are only …I don't think your price includes the VAT, when that's added they are only pence cheaper than the excellent hermes. But it could offer a handier drop off point. They didn't for me. Was citylink doing the In post delivery back then I think. No, but if your parcel is small you can book direct at inpostdirect.co.uk and get £20 included compensation. Has to be under 8cm x 38cm x 64cm. Not the most helpful reply I did look on their site but it wasn't …Not the most helpful reply I did look on their site but it wasn't obvious if it included any compensation for loss/damageHowever I just checked again and it looks like they do have £20 cover included so not too bad at all.I usually use myhermes - for £2.75 (not 2-3 times the price) which includes up to £25 cover but will consider inpost for lower valued items.Update: the compensation is only if you go direct to inpost - why use p2g at all??? Inpost direct has a max height of 8cm, whereas Parcel2Go does not. 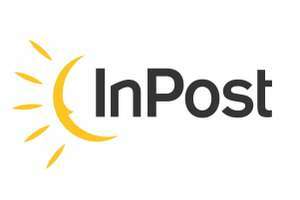 Look at the visitors post on inpost UK Facebook page. Stay clear!!! Does anyone know how to contact inpost directly? Parcel has been waiting to be collected from the locker for 4 days now. Does anyone know how to contact inpost directly?Parcel has been waiting to …Does anyone know how to contact inpost directly?Parcel has been waiting to be collected from the locker for 4 days now. Same old story, took mine a week to be collected. Hope yours is sorted now. Will never use again. Deal posting newbie! This is t3r4 first deal post. Help out by leaving a posting tip or just to show your appreciation for their contribution.